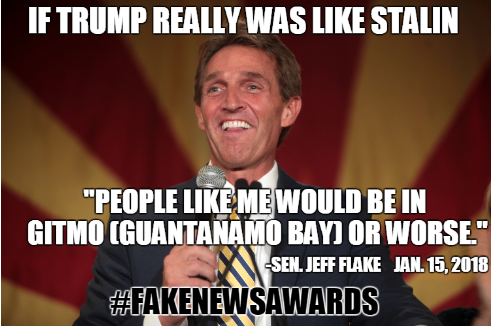 Just watched Jeff Flake's rant on the Senate floor...defending MSM and comparing Trump to Stalin. 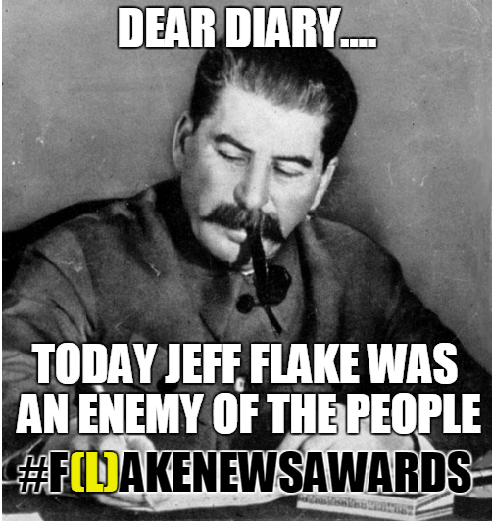 "FOCUS on loudest voices in WASH."
Edit: Dashen: How about a nice 'FLAKE NEWS AWARD' meme? I think Cory Booker is the "loudest" with his little "show"
I'm not sure what kind of extra staff/aides they have, but there are about 75ish IG's. but I had the same thoughts as you did. there are a lot of investigations. yup, watching him now, Oprah's best friend Gail is interviewing him ! I can't be the only one who has gotten the creeps every time this guy has opened his mouth to speak. He fails to mask the condescension every time.